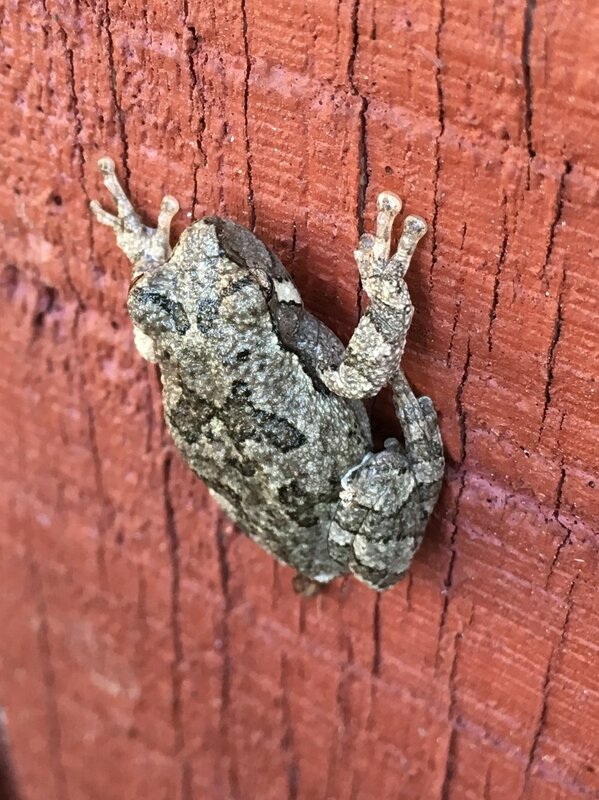 Each spring and fall, visitors from around the world -- literally -- seeking amphibian and reptile encounters descend on southern Illinois to partake in a twice annual migratory phenomenon. 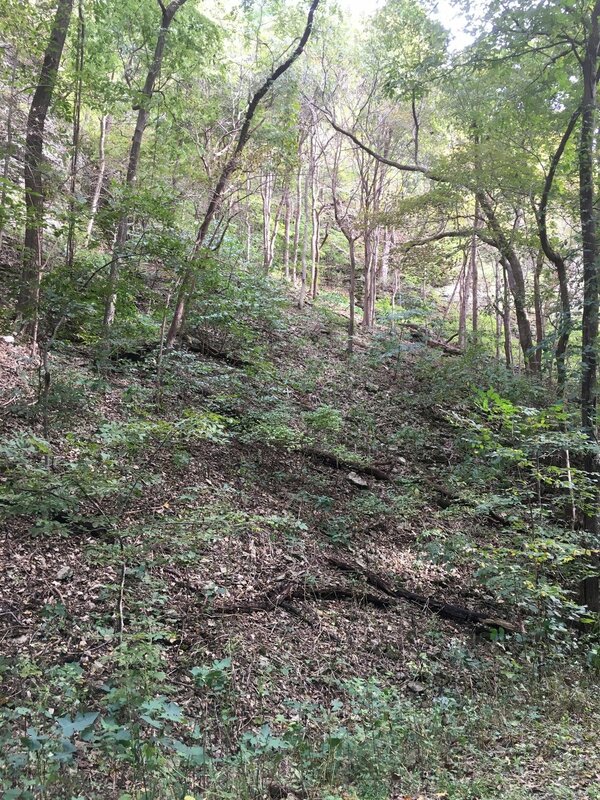 The destination, Snake Road, is nestled within the U.S. Forest Service administered Shawnee National Forest - LaRue-Pine Hills-Otter Pond Research Natural Area, and is home to just over 20 species of snake (Palis 2016). Visitors should be aware that three species of venomous snake occur in the area -- so it's important to maintain situational awareness. 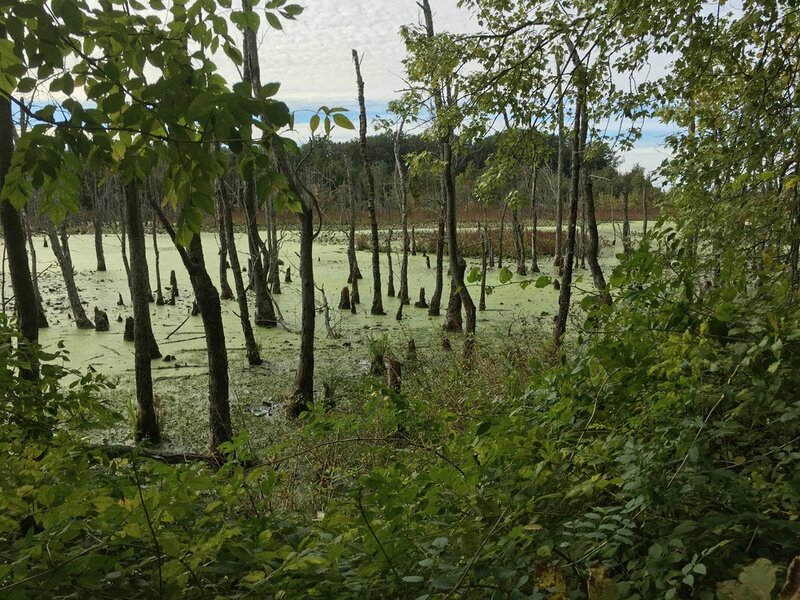 The Snake Road area also harbors many species of frogs and toads, salamanders, turtles, and lizards. 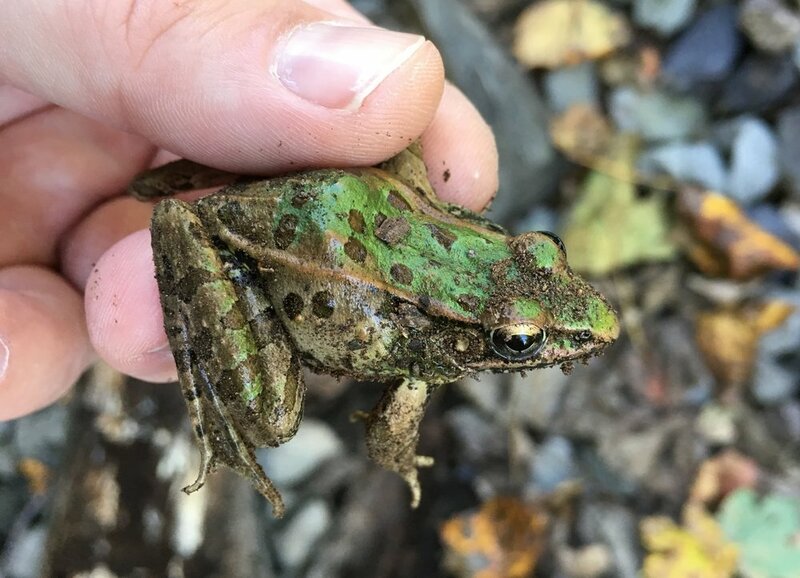 Be sure to add your observations to the HerpMapper.org database to help conservation and research organizations continue to study the amphibian and reptile diversity in the area. Lowland habitat along Snake Road. Snake Road is sandwiched between karst terrain (limestone bluffs) on the east, and lowlands and wetlands to the west. 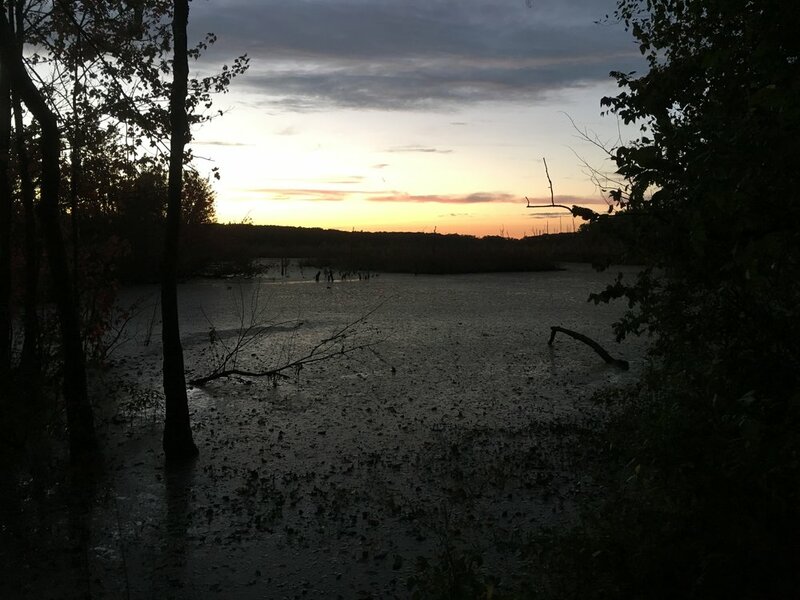 The area attracts many species of amphibians and reptiles because they use the cracks and crevices within the limestone rock formations to get below the frost line to overwinter, and surrounding lowlands and wetlands to forage and reproduce during their active season. 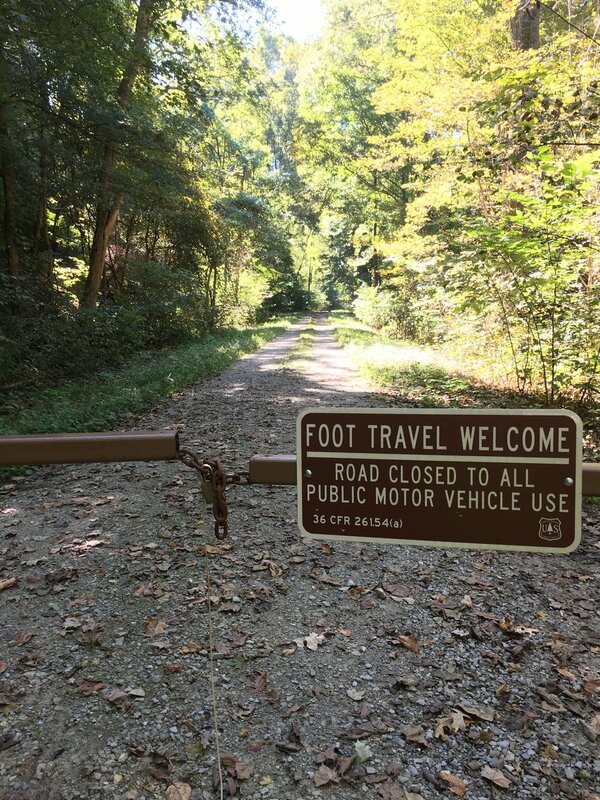 This twice-annual migration means the amphibians and reptiles must cross the road, and because road mortality is a serious threat to reptile populations the U.S. Forest Service closes the road in the spring and fall to allow safe passage. 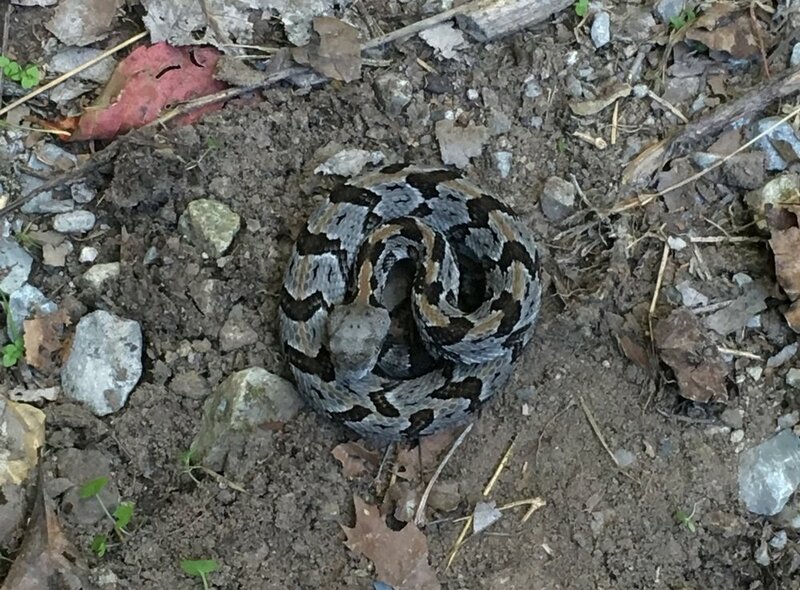 Collection is also prohibited in the area, another major threat to amphibian and reptile populations, so do not bring hooks, bags, or containers to Snake Road. 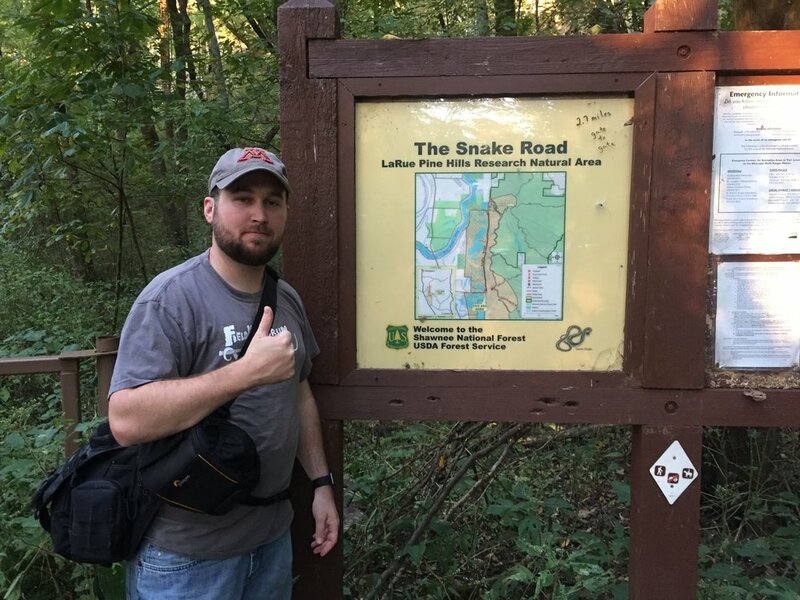 I've only made the journey to Snake Road twice, once in early October 2012 and most recently in early October 2016. 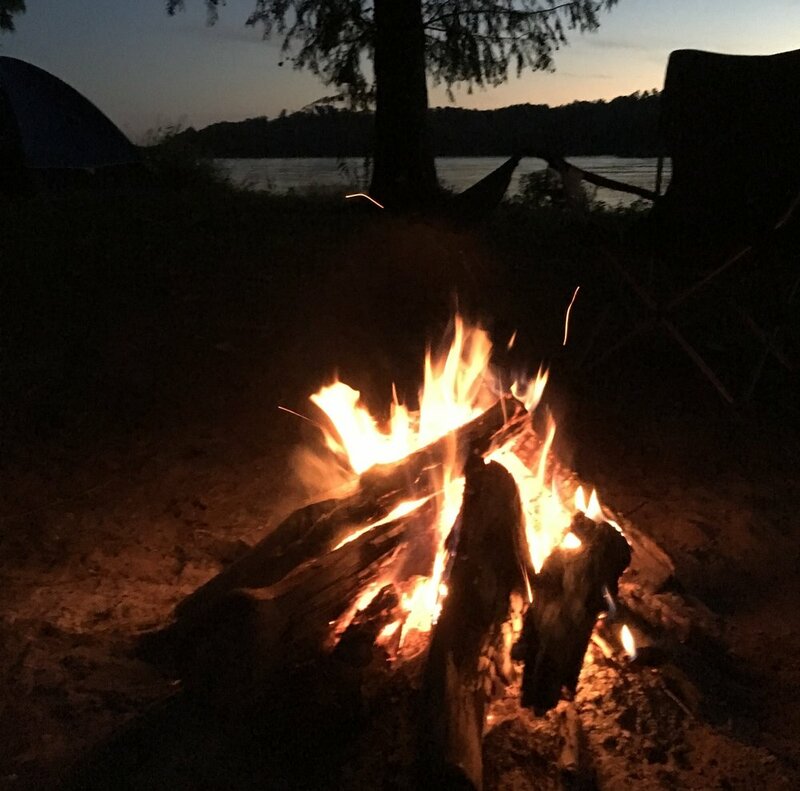 I chose to camp on the shores of the Mississippi River at the Devil's Backbone Campground (perk - it has showers), but several camping areas exist in close proximity to the road. Hotels and motels are also available in nearby towns. 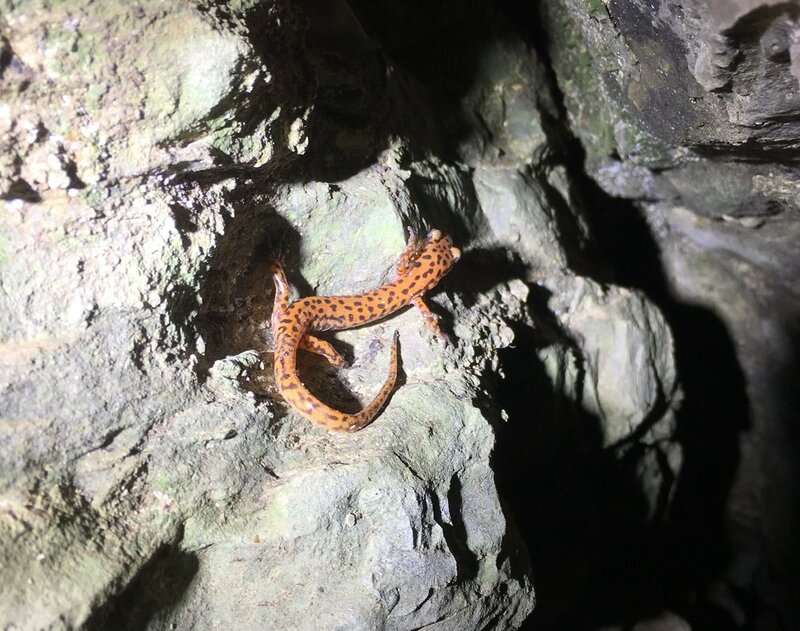 During both trips the weather was colder than desired which resulted in relative low numbers of individuals, but overall a diverse group of amphibians and reptiles were encountered. Another aspect of Snake Road that is fairly unique is the opportunity to meet fellow amphibian and reptile enthusiasts walking on the road. Below is a slideshow showing some of the amphibians and reptiles encountered at, or near, Snake Road during my trips. 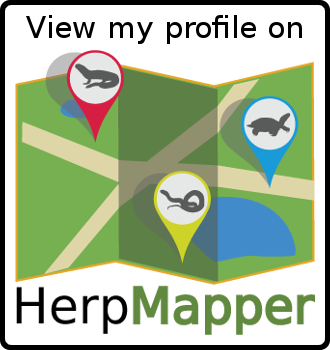 All observations are added to HerpMapper.org - an amphibian and reptile citizen science project that collects and disseminates sightings in a centralized database for use by conservation and research organizations. This is important because with relatively little additional effort your sightings can make a big difference for these often under appreciated animals. Check in out! Not at Snake Road, but relatively nearby. That's it folks... 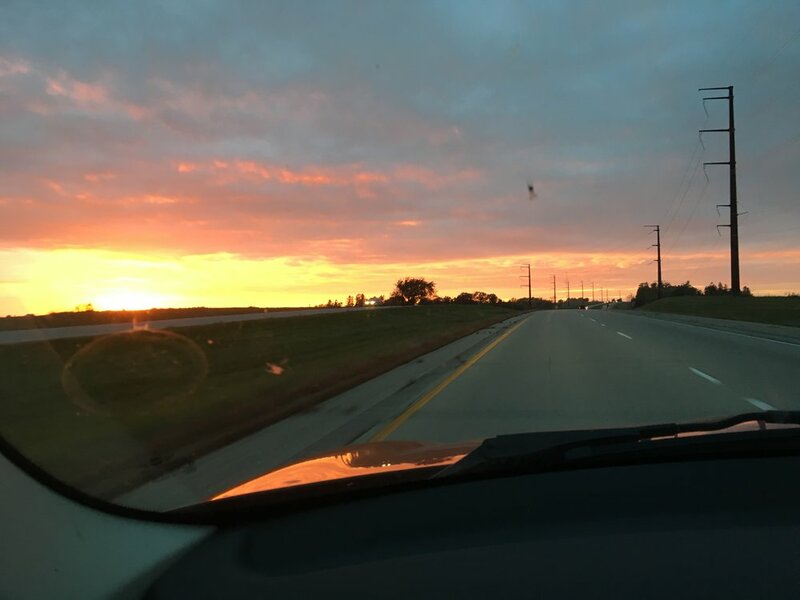 The view headed home.